The Irrawaddy's Blog: "ဒီအေရးအခင္းမွာ ဦးအံ့ေမာင္ကေတာ့ တရားခံပဲ"
all he has said is ' vague' . Not specific. if he knows more, he should say more. He, himself is also dangerous to Myanmar . What he has done is also dangerous. But what he has done is ' not related ' to this event. But want to say . 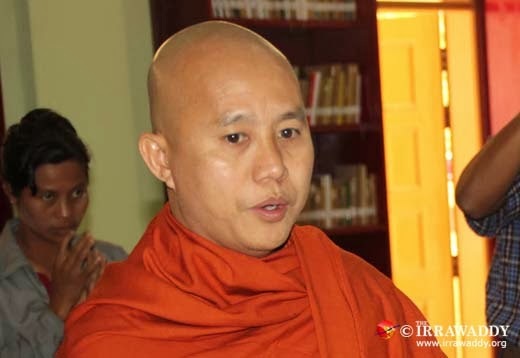 U Wirathu is not a suitable monk to participate in that organization . which is risky rather than benefit.